Antonio Barrientos received the Msc Engineer degree by Automatic and Electronic from the Polytechnic University of Madrid in 1982, and the PhD in Robotics from the same University in 1986. In 2002 he obtained de MSc Degree in Biomedical Engineering by Universidad Nacional de Educación a Distancia. 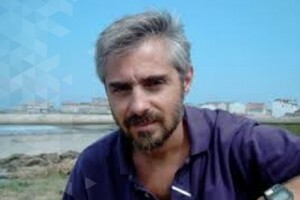 Since 1988 he is Professor of robotics, computers and control engineering at the Polytechnic University of Madrid. He has worked for more than 30 years in robotics, developing industrial and service robots for different areas. Currently, he is the head of the Robotics and Cybernetics research group of the Centre for Automatic and Robotic in the Technical University of Madrid – Spanish National Research Council. The main interests of his research group are in the field robotics (ground and aerial), seeking its application in two areas: agriculture and security, search and rescue scenarios. He is author of several textbooks in Robotics and Manufacturing automation and has participated as coauthor in the white books about the state of robotics and manufacturing in Spain. He is also co-author of more than 175 scientific papers in journals and conferences. He has been a reviewer for several journals and is an Editorial Board Member of the International Journal of Advanced Robotic Systems and of the Revista Iberoamericana de Automática e Informática Industrial. Also, he is member of the Board of directors of the Comite Español de Automática a senior member of the IEEE. Comparison of heuristic algorithms in discrete search and surveillance tasks using aerial swarms. QuadLab: A Project-Based Learning Toolkit for Automation and Robotics Engineering Education. Journal of Intelligent and Robotic Systems: Theory and Applications. Vol.81. Number. 1. Pages: 97 - 116. Stepping on obstacles with a sensory substitution device on the lower leg: Practice without vision is more beneficial than practice with vision. PLoS ONE. Vol.9. Number. 6. An aerial-ground robotic system for navigation and obstacle mapping in large outdoor areas. Sensors. Vol.13. Pages: 1247 - 1267. Human Detection from a Mobile Robot Using Fusion of Laser and Vision Information. Sensors. Vol.13. Number. 9. Pages: 11603 - 11635. Human detection from a mobile robot using fusion of laser and vision information..
Tactile-Sight: A Sensory Substitution Device Based on Distance-Related Vibrotactile Flow. Action-contingent vibrotactile flow facilitates the detection of ground level obstacles with a partly virtual sensory substitution device. Human Movement Science. Vol.31. Pages: 1571 - 1584. Sistemas de ayuda al diagnostico y a la terapia funcional en enfermedades neurodegenerativas..
Cognitive risk detection and avoidance system for mUAV in outdoor scenarios. Control por modos deslizantes como estrategia de navegación de una flota de robots. Aerial coverage path planning applied to mapping. Cooperative multi-robot patrolling: A study of distributed approaches based on mathematical models of game theory to protect infrastructures. Detection and Tracking of dynamic objects. A multirobot approach to critical infraestructures survillance. Comunicación con Computador Mediante Señales Cerebrales. Aplicación a la Tecnología de la Rehabilatación.